Preparing a financial forecast is usually a key requirement in order to have a major marketing campaign, new product, or other marketing project approved. As in most cases, is there is a significant investment up front or during the early part of the campaign/project. Therefore, it becomes necessary to demonstrate that the marketing initiative will have financial viability and will generate a strong and positive return on marketing investment. There are multiple ways of constructing a financial forecast for marketing purposes. In a very simplistic sense, you can simply forecast projected sales volumes/revenue and then calculate likely profitability based upon this top level number. However, in most cases, this approach is unsatisfactory as there is no logical basis (or assumptions) for the top level sales revenue projection – particularly for a new project/campaign. In a more advanced form of financial forecasting, the ATAR forecasting model can be applied. In this case, the letters ATAR stand for – awareness – trial – availability – repeat/rebuy. Please note that there is a separate website that demonstrates this more detailed form of sales and profit forecasting, along with a free forecasting template that utilizes the ATAR forecasting model. However, in this article, we will take the middle ground and discuss a sales/profit forecast for marketing that demonstrates the construction of the overall sales volume and revenue, based on customer acquisition, brand penetration, average purchases, and price/cost estimates. The starting point in any financial (sales/profit) forecast is to have a clear understanding of your target market, and its size, and its likely growth rate. This approach will demonstrate that you have a clear understanding of the intention of the marketing campaign/project, as well as keeping your financial forecasts realistic and more accurate. For large brands: it is not uncommon to have multiple target markets, with each having its own financial/profit forecast. This would be necessary as you would expect each target market to have a different level of responsiveness to the campaign (or new product), as well as having different purchase volumes (that is, light to heavy users). Large brands: are also likely to have larger target markets. They usually have the brand equity and the established distribution channels that enable them to reach a greater proportion of consumers. Smaller brands: the counter argument to above, is that smaller brands (with their limited brand awareness and their likely reduced distribution access) will need to be more selective with their target market definition (perhaps pursuing a niche market) or have an expectation of having a very low level of brand penetration (which is the proportion of the target market that buy their product/brand). Service firms: it is not unusual for service firms, particularly those with an established customer base, to introduce new products or undertake direct marketing campaigns that deliberately target their existing customers only. In some cases their target market could be just a few thousand of their existing customers. Now you have an understanding of the size of the overall target market, the key task is to determine what proportion (what number) of these consumers will become customers of the brand/product – or change their behavior (purchase more/differently) as a result of the campaign. Usually this information can be estimated from prior marketing activities, such as the take-up of previous new products or the response to previous campaigns. Sometimes firms will invest in concept testing that is designed to measure the likelihood of future purchase/change in purchase behavior. The pool of customers is quite dynamic with customers being acquired and lost on a regular basis. Please see the article on the leaky bucket theory. Therefore, as well as forecasting/estimating new customers, we need to calculate the ongoing size of the customer base. This is important because we are attempting to demonstrate that our marketing actions (campaign/project/new product) will have a measurable long-term positive impact on the firm/brand. With the above information gained in steps one, two and three – we now have enough information to simply calculate the size of the customer base. At this stage, we should also calculate brand penetration – which is our customer base/target market size. This brand penetration figure is a “safety net” check to ensure that our projections are realistic. We then compare this figure of 5% penetration of the target market against our competitors and our performance in other areas of our operations (e.g. market share) to determine whether this is realistic. Obviously, we need to take into account how tightly we have defined the target market. It is possible to achieve a relatively high level of brand penetration in a narrow target market, but much more difficult in a broad/large target market (unless we are one of the major players in the market). Now we have a projected customer base that we are relatively confident in, that takes into account customer loyalty, customer acquisition – and then does a “reality check” against the level of brand penetration – we can now move on to the financial and volume aspects of the forecasts. As at this stage of the process, we will need the purchase volume for the average consumer over the year. We need to take into account the array of purchasing volume – from occasional users, to light users, to heavy users – when formulating this average volume. We also work out the likely average price that we will receive for the product/service over time. We need to take into account any discounting (sales promotions) that we may use during the period. We also need to be clear about who we sell to – for example, if we are a manufacturer, then we sell to a retailer – so the price should be what we receive from the retailer (not the final retail price). We also include the likely unit cost of the product/service over time. Then obviously, the difference between the price and the unit cost is the unit margin. Generally, we would expect that the unit margin is lower in the initial period and then increases over time. This is because it is common to utilize some form of discounting/sales promotions in the early stages to help generate demand and change consumer purchasing behavior. Following the outcomes of the previous two steps, we now have the numbers necessary to calculate sales revenues and profit contribution before marketing expenditure. We need to determine, which we probably know fairly well anyway, the marketing budget that has been dedicated to this campaign/project. From year 0 (prior to launch/campaign) and then yearly over the life of the project/campaign – generally up to about a five year period. In this marketing support area, we would include an array of promotional costs, plus any product development costs, plus any expected product improvement investments, sales force costs, trade promotion, and so on. Once we have the initial and ongoing marketing budget/investment (from step 7), it becomes a relatively easy task to deduct these expenses from the gross profit contribution that we have already calculated is step 6 above. When we have a forecast that we think that we are happy with, we should now look to calculate the following key metrics and summarize them in either a table or chart. The final step is to receive approval for your project/campaign/new product – and part of this approval will rely upon your financial forecasts. The additional of logical underlying assumptions based upon prior experience, market research and/or marketing experiences is normally expected in a firm. 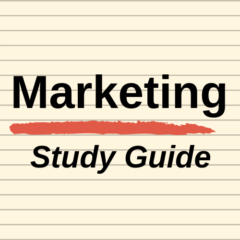 If you are a marketing student, then a supporting statistic or two is usually required – otherwise opt for a logical, reasoned, conservative assumption. Next Next post: Why do companies introduce new products?